An appeals court panel Tuesday ruled the state’s Department of Environmental Protection (DEP) denied a permit to drill the first exploratory oil well in the Everglades in more than 50 years based on feelings instead of facts. The three-judge panel of the First District Court of Appeal determined the DEP essentially ignored a 2017 "recommended order" from an administrative law judge and "improperly recast factual findings to reach a desired outcome" in upholding its 2015 rejection of a drilling permit despite evidence the proposal posed little environmental risk. The panel’s 14-page ruling found DEP Secretary Noah Valenstein improperly rejected "factual findings" by Administrative Law Judge E. Gary Early, who determined the five-acre site in Broward County, about six miles west of Miramar, was environmentally degraded and isolated from surface water and groundwater. The permit application was submitted by Kanter Real Estate LLC, owned by Miami real estate developer and banker Joseph Kanter. The company had pieced together a 20,000-acre parcel in southwest Broward County for a proposed new town development that never got off the drawing board. In 2016, it applied for a permit to build an exploratory well 11,800 feet deep on the land to ascertain if oil could be extracted there. The DEP rejected the application. Kanter challenged the denial and requested an administrative hearing. In November 2017, Early determined the company met permit requirements and issued a "recommended order," stating the "greater weight of the evidence establishes that the potential for harmful discharges and the potential for harm to groundwater and public water supply are insignificant." Under Florida administrative law, the "recommended order" was forwarded back to the DEP, which denied the permit again, noting the site is "in the environmentally sensitive Everglades" and that the state had not issued an exploratory oil drilling permit in the Everglades since 1967. Kanter sued and the case was referred to the First District Court of Appeal. The case was heard on Jan. 9. In issuing its ruling Tuesday, the panel said the facts in the case did not justify the DEP’s denial. Kanter "correctly asserts that [Early’s recommended order] is made up entirely of factual findings and that the secretary improperly relied upon or created an unadopted rule by basing its decision on a ‘long-standing policy to deny oil and gas permits within lands subject to Everglades restoration,’" Chief Judge Brad Thomas wrote. Thomas, joined in the unanimous ruling by judges Harvey Jay and Robert E. Long, Jr., noted that state law requires agencies to accept administrative law judges’ findings of fact unless they are not supported by "competent, substantial evidence." "Here, [Early’s] ultimate finding of fact was that the land in question did not have any qualities that would make it vulnerable to pollution of the land, aquifer or surface waters, a finding that [Early] supported with examples and facts introduced as evidence," Thomas wrote. During the Jan. 9 hearing, an expert testifying on behalf of Kanter said there is a 23 percent chance of discovering oil at the site. If oil is discovered, the expert estimated that between 180,000 and 10 million barrels could be produced. Kanter’s proposed drilling would not involve hydraulic fracturing – or fracking – that Gov. Ron DeSantis said he wants to ban. At least two bills banning fracking have been pre-filed by lawmakers for consideration during the upcoming legislative session, which begins March 5. 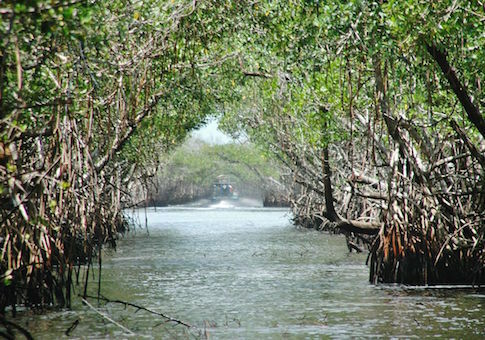 It could, however, clear the way for oil extraction in the Everglades and add to growing interest among oil companies in drilling wells in South Florida. Kanter’s project is among at least five pending oil drilling permit applications either in the protected Everglades or in nearby areas, including Trend Exploration’s request to drill in the Caracara Prairie Preserve, a Collier County natural area where the mineral rights remain in private hands. Among exploratory oil proposals the DEP has approved is Tocala LLC’s request to detonate explosives in 6,000 holes drilled across 110 square miles north of Big Cypress National Preserve. Burnett Oil Co. has also received a permit to search for oil across another 110 square miles of Big Cypress using trucks to generate vibrations that detect oil.